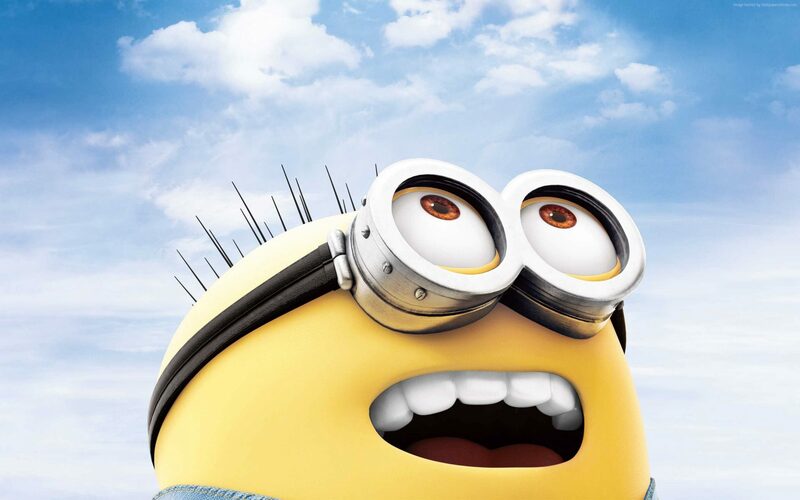 Did you like the first two Despicable Me movies? Do you even kind of have a soft spot for Minions? Then you’ll like Despicable Me 3 just fine. That might sound like a pretty broad, straightforward critique, but it essentially sums this sequel up. Unlike some other animated franchises, Despicable Me hasn’t lost track of what its audience wants to see, i.e. bubbly animation, sharp slapstick, clever sight gags. At the same time, each installment has thrown in just enough new ingredients to keep things fresh. It also helps that this series hasn’t set the bar incredibly high, at least compared to the likes of Disney and Pixar. That’s not to say movies should aim low. Above all else, though, a film should know what it wants to be. In the case of this franchise, the intent has always been to just make the audience laugh and Despicable Me 3 succeeds in that department. Of course it’s by no means a comedic masterpiece. Steve Carell is back as bad guy gone goodie Gru, who once again sounds like Borat if you crossed him with Heinz Doofenshmirtz from Phineas and Ferb. Also returning is Kristen Wiig as Lucy, Gru’s eccentric wife and partner at the Anti-Villain League. Gru and Lucy are both fired, however, when they fail to capture a former child star turned criminal mastermind. Trey Parker of South Park is hilarious as Balthazar Bratt, the 80s-obsessed supervillain that’s eaten one too many member berries. Gru subsequently gets in contact with his long-lost brother Dru, also voiced by Carell, who wants to pull off a heist with his estranged sibling. Gru agrees, although this is really just part of his plan to bring down Bratt. The Minions are naturally back in action as well, landing in prison for their mischief. Huh, Yellow is the New Black, is that going to be the next spinoff? While the Minions do steal the spotlight on more than one occasion, they don’t hijack the entire movie this time around. The whole ensemble is given something to do here, which is both an advantage and a disadvantage. On one hand, Despicable Me 3 has plenty of fun characters to go around. On the other hand, there is such a thing as biting off more than a movie can chew. At just 90 minutes, Despicable Me 3 packs in more stories than a DC movie. Aside from the brother reunion and stopping Bratt, there are subplots involving Lucy adjusting to her new motherly role, Agnes trying to catch a unicorn, and Margo accidentally getting engaged to a boy who offers her cheese. While a lot of this is indeed funny, it can be a bit much at times. Since the film stuffs in so many ideas, some of the jokes lack a real payoff and the overall narrative can feel unfocused, even compared to the previous films. So perhaps it’s best not to view Despicable Me 3 as a movie, but rather as a feature-length episode of Family Guy. If you want a coherent story where every gag is carefully woven into the script, this probably won’t be your cup of tea. If you’re looking for a hodgepodge of one-liners, pop culture references, and physical humor with the occasional sweet moment, though, this gets the job done. As mentioned before, that seems to be what the target demographic is looking for and sometimes there’s nothing wrong with just giving the people what they want, especially when what they want is a lighthearted cartoon. This entry was posted in Reviews and tagged Action, Adventure, Animation on June 30, 2017 by Nick Spake.